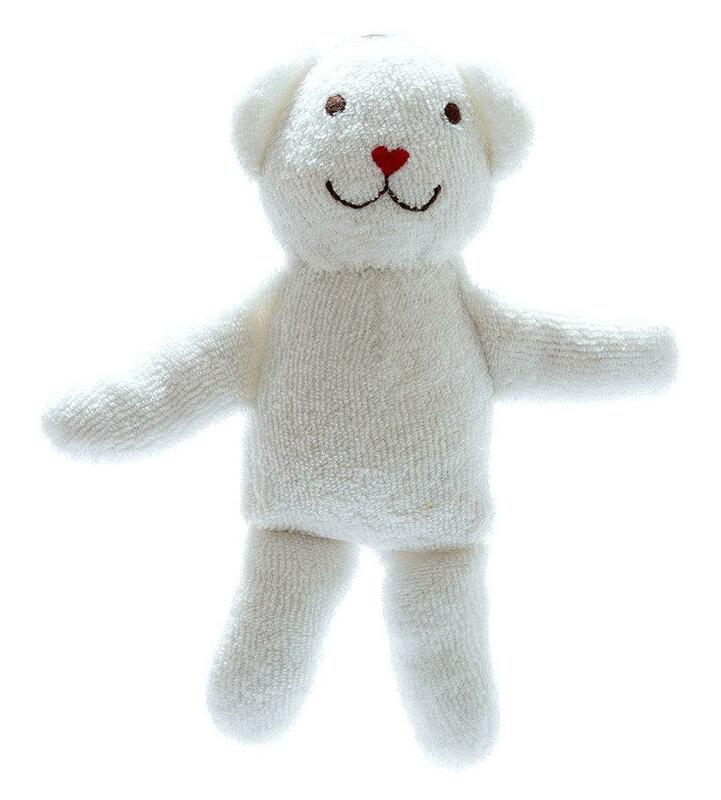 This sweet scrappy bear toy is made from white 100% Organic Egyptian cotton off cuts - fabrics left over from the manufacture of baby clothes. Organic and fair trade. Machine washable. Suitable from birth.